Authorities have identified a woman who was fatally struck by a car on a collapsed section of a major northern Arizona highway during this week’s storm. The Arizona Department of Public Safety said Friday the victim of the collision was 26-year-old Amelie Fortune, of France. Information about her hometown was not immediately available. Troopers were called late Wednesday night to a stretch of U.S. 89 near Cameron. They say Fortune had just crossed a section in her car as it started to give way. She was inspecting the damage when another driver lost control while crossing the collapsed area. Authorities believe the road sustained major damage from rain brought by the remnants of a tropical storm. Crews are repairing a collapsed major northern Arizona highway that tourists use to reach the Grand Canyon’s North Rim, Lake Powell and southern Utah. 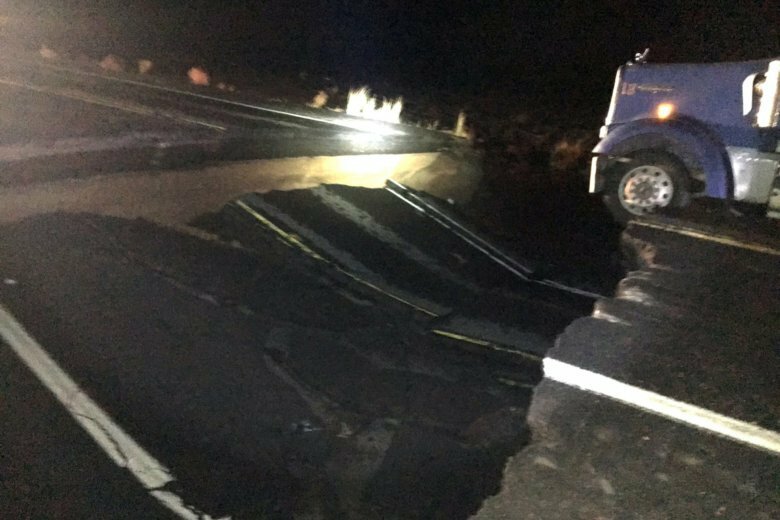 A 30-foot (9-meter) section of U.S. 89 caved in late Wednesday from the remnants of Tropical Storm Rosa. Crews were filling in the washed-out section Friday. A temporary fix is in the works, but the Arizona Department of Transportation says the highway isn’t expected to reopen for multiple days. Locals and emergency responders can get around it. But tourists, hunters and others are forced on a more than 100-mile (161-kilometer) detour.